Home / Movies / "Paranormal Activity" Producer Talks About Last Chapter "The Ghost Dimension"
"Paranormal Activity" Producer Talks About Last Chapter "The Ghost Dimension"
For the first time, see the unseen in Paramount Pictures' “Paranormal Activity: The Ghost Dimension” – the horrifying conclusion to the Paranormal Activity films. 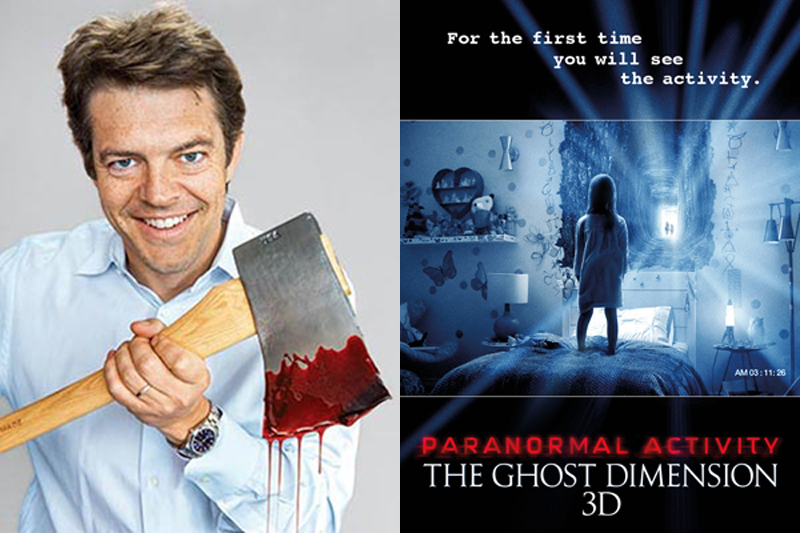 In the following interview, producer Jason Blum talks about the “Paranormal Activity” franchise coming to an end, and how liberating it was when the filmmakers and studio agreed on this direction. Question: Why did it take so long to come up with the latest installment in the Paranormal Activity franchise? Jason Blum: The big news on this movie is that we decided it was gonna be the last Paranormal Activity and once we decided that, all these things fell into place – we’re gonna show Toby, we’re gonna make it 3D, we’re gonna not make it in a year. Once we decided that, having had to make a movie in 12 months for five years in a row, it took a ton of pressure off the process and off the creative and allowed us to make something that I think is really special and I’m very proud of. Paramount was a big advocate of that and it was great to be working with a studio who was comfortable with that. 99 times out of 100, the studio would say, ‘Well, it’ll be the last one if it doesn’t make money.’ It’s not like they had to say yes to us. They were part of the decision making process to say, ‘Hey, let’s pick this up where we can, call it the end, if you reboot it in some time when we’re all long gone, fine, but let’s not carry this thing and drive it into the ground. Let’s call this the last one.’ And I’m really happy about that and it gave us a lot more room to play within the storytelling and also the time frame. Q: Can we expect to see this movie answer all of the burning questions that the first four films brought up? Blum: Yes, yes! No more teasing. I think it’ll answer 99% of the questions fans have had along the way. That was fun too, to write a movie and to finally not have to hold anything back but just answer everything. Some of the answers we didn’t know, we had to make up, but at least they’re answers. Q: At one point in the trailer a character says, ‘We’ve gotta find more tapes,’ when most would be thinking, ‘We’ve got to get out of here.’ Is there a point in the movie when you justify the need to stay in that house? Blum: There definitely is. We always justify them staying. That is not where the issue is. The issue is always, do people buy the justification? But we always justify it. Some people are like, ‘I don’t believe it,’ but we do justify it and this movie is no exception to that. Q: How about adding to the visuals? The first movie has the one camera, the second has the security camera footage, the third has fun things like the fan shot, and the fourth has the tracking dots. Is there a hot new thing of sorts that we can expect from this one? Blum: Yes, yes, 3D! I mean, my god! It’s unheard of. We’re doing a found footage movie in 3D. Now we explain that too. But I believe that’s a first. There’s never been a found footage movie in 3D before. Q: Was the 3D done entirely in post? Blum: No. The 3D is not an idea that came up after the movie was done. The 3D is built into the story. It’s hard to explain without giving it away, but the 3D was shot in 3D, let’s put it that way. Q: Was it challenging to sum up this story in a way where all the new information we’ll get in 5 will hold true when re-watching 1, 2, 3 and 4? Q: I was a bit bummed when you said that Paranormal is coming to an end, but I guess if it opens the door to more Purge and maybe more Sinister movies, I’m going to be okay with it. Blum: That’s good. I don’t wanna grind these movies into the ground. I have a good feeling about Paranormal, and with Sinister, The Purge and Ouija, there’s a time for more and then there’s not. I think that applies to Sinister and Insidious, all those movies, too. At some point, you’ve gotta give them a wrap. The final film follows a new family, the Fleeges — father Ryan (Chris J. Murray), mother Emily (Brit Shaw) and their young daughter Leila (Ivy George) — who move into a house and discover a video camera and a box of tapes in the garage. 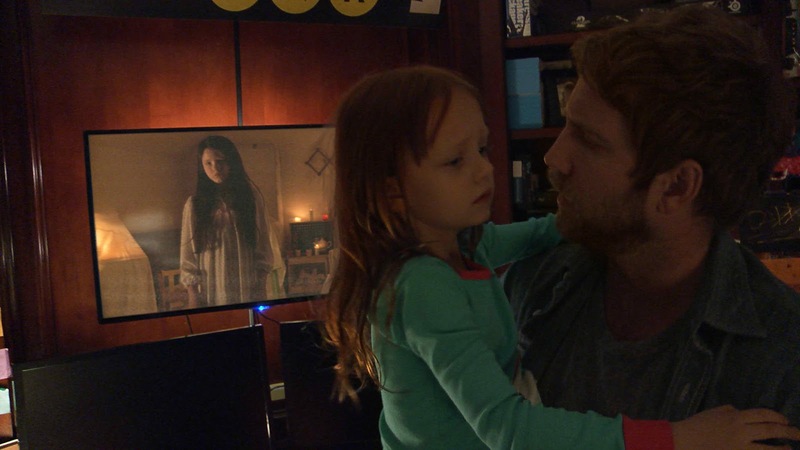 Opening across the Philippines on Oct. 21, 2015, “Paranormal Activity 5: The Ghost Dimension” will be distributed by United International Pictures through Columbia Pictures.